Request a DEMO What is RAMP? RAMP is a cloud based auto repair shop software system. 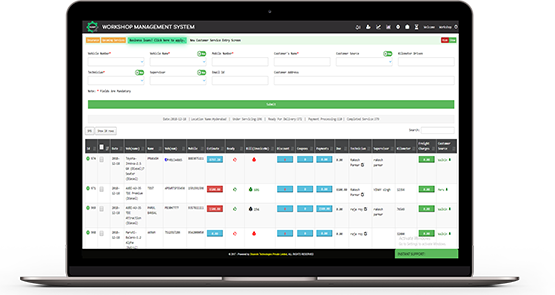 RAMP is an integrated garage management software which rapidly cuts down on the admin time and helps you focus more on fixing cars. 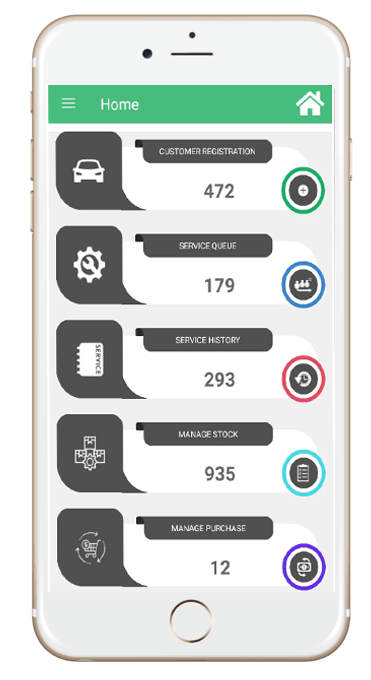 It is a smart car service software with all the features useful for day to day auto service management process. Accelerate your workshop business success with RAMP. RAMP's cloud based application offers you complete data security and control. It is fully automated and offers secure online and local data backups. Just pay as you go! Engineered for the most demanding requirements of automotive repairs. Around 7 lac pre-listed parts. Pay for what you use. Estimate your monthly bills and choose the plan that suits you the best. New customers can get started with free 7 days trial. *Free trial available for 7 days. 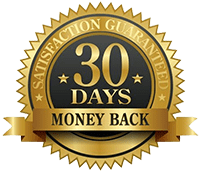 *Experimental pack can be availed for a maximum of 3 months. Give your workshop business a turbo boost.